We joined the three day Banderas Bay Blast to get Shindig out on the Bay and contribute to a good cause. Money is raised for the Pirates for Pupils fund. This group contributes school supplies to local grade schools. The weather was perfect, 75-80 degrees, and light to moderate breezes in the afternoon. Each day was a different leg, and there was a "reverse start" which means each boat has a separate start time and theoretically finish around the same time. 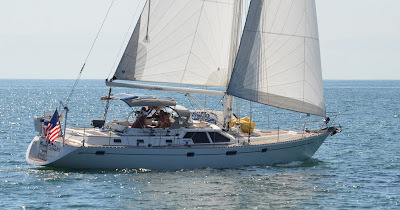 The first leg was from La Cruz anchorage, out and back, 12 miles. It was exciting to have a start and finish line right in the anchorage where other boats are anchored. Richard from Tisha Baby joined us for the day, and we came in first! The 2nd day was an upwind leg from La Cruz to the Punta de Mita anchorage(8 miles). We put out a challenge by pledging 200 pesos for each sailboat that beat us, and 100 pesos for each boat behind us. Apparently it was a decent model, as other sailboats chimed in on the radio, and it kickstarted the fundraising competition. Trish and Steve from Kiyuma joined us for leg two, and we had a fun cockpit party afterwards to celebrate a nice afternoon of sailing. Came in second that day, right behind our friend's "go fast" Adios. That night we used paddleboards and pangas to get ashore for the group dinner. There was also a unique initiation into the Punta De Mita Yacht Club, which included costumes and other types of paddling with boards. We missed the photos for that one! The final race was a downwind spinnaker run from Mita to Paradise Village(12 miles). We dodged more whales and enjoyed dolphins swimming along our bow as we headed to the finish line. As part of the fundraiser, we hosted guests aboard that supported the Pirates for Pupils campaign. 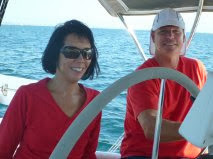 David and Nancy, from Ashland, Oregon were great to have aboard. 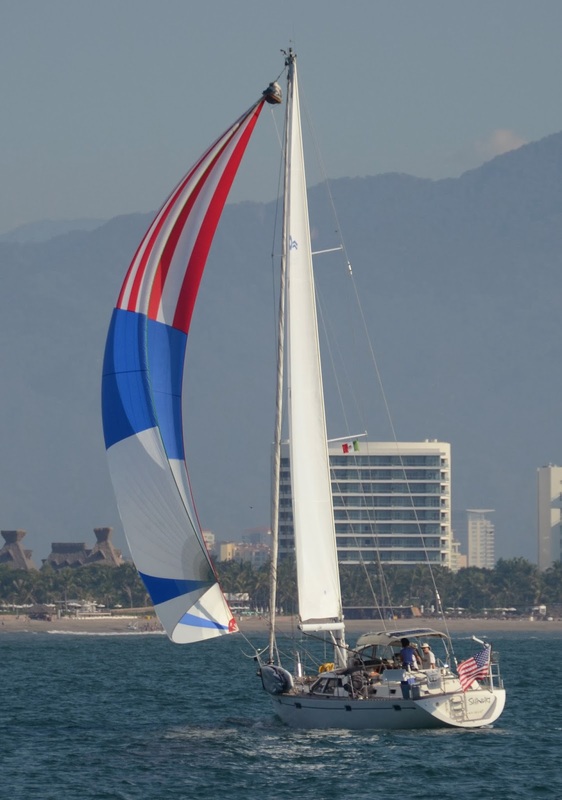 The sailboats that raced were given guest slips for the night by Paradise Village Marina, and there was a fun get together at the Vallarta Yacht Club that night to toast all the sailors. Shindig finished first in class! This year 25,000 pesos (~$2000 USD) were donated. Close quarters sailing. Duking in out with a local Mexican crew on Day one. Craig and Jane's boat, Adios, Columbia 43, was a close competitor. 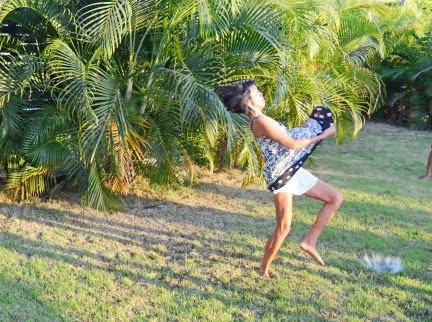 Nancy demonstrates a fancy dance move in the "catch the water balloon" contest. We won a pizza at Philo's which we enjoyed later that night. Finally, The Cup is yours! Great pictures! Great sailing!